Save Travel Time on Dental Care by Visiting a Family Dentist! When it’s about time for your family’s routine dental examinations and cleanings, is your first reaction to groan? Is scheduling appointments for each of your family members an exhausting process because you need to contact multiple dentists? Instead of driving back and forth to different practices, why not visit a family dentist who can help you save time and schedule many of your family members for the same day? Keep reading to learn more benefits a family dentist can offer! If you find yourself scheduling dental appointments for family members weeks and even months apart, it’s a sign that you are in dire need of a family dentist. Family dentists are able to see patients of all different ages and backgrounds. Whether you’ve got multiple kids who are having their first dental visits or grandparents who are overdue for a routine exam, a family dentist can handle both with ease! Furthermore, you don’t have to visit multiple practices to get your family the treatment they need. All your needs can be met in one place, saving you time and money on gas. Scheduling your family’s routine cleanings simultaneously also makes it easy to remember when it’s time to visit. Since family dentists see a wide variety of patients walk through their office doors, they need to offer a wide variety of services to meet their needs. If your child needs dental sealants to protect him while he practices his brushing technique, he should be able to receive treatment while his grandfather is undergoing a dental implant consultation. Visiting a dentist with all the services you need in one place is key to fulfilling ultimate convenience. To make time to serve your family’s many appointments, your dentist is also more likely to be open more days throughout the week, as well as during early morning and evening hours. One of the more overlooked aspects of family dentistry is the ability to build stronger patient-doctor relationships. Many dentists will only see patients, provide the treatment, and send them on their way without batting an eye. However, family dentists acknowledge the diversity of their patient base. This means more people may want to ask questions or determine if a treatment their previous dentist recommended is truly necessary. Having this relationship is also key to helping your child develop good oral care habits outside of the bathroom. If they see you working and engaging with the dentist, your child is far less likely to fear them in the future, as well as understand the importance of regular visits, especially once they move out. Don’t settle for a dental office that’s always referring you out. 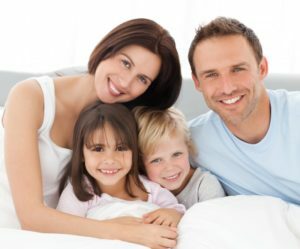 Gain the benefits of family dentistry when it’s time to get your family’s cleanings done. Schedule an appointment today! Dr. Robert Long has the credentials and experience to provide many services all in one location. During his two-year residency, he received IV sedation certification, worked with medically compromised patients, completed training in oral surgery, and gained extensive education in cosmetic, implant, and restorative dentistry. To learn more about his range of services at the practice, contact him through his website. Comments Off on Save Travel Time on Dental Care by Visiting a Family Dentist!